RecipePress is a Premium WordPress theme for recipes and other food related websites. It has various home page variations with many independent sections. It has easy and very user-friendly option to control almost every aspect of your site. 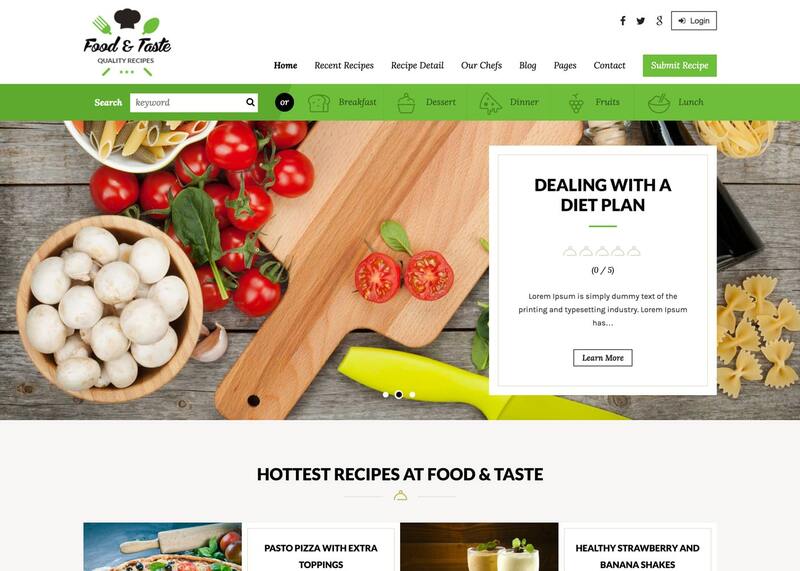 This theme is perfect for professional chefs and institutaions as well as personal food bloggers. 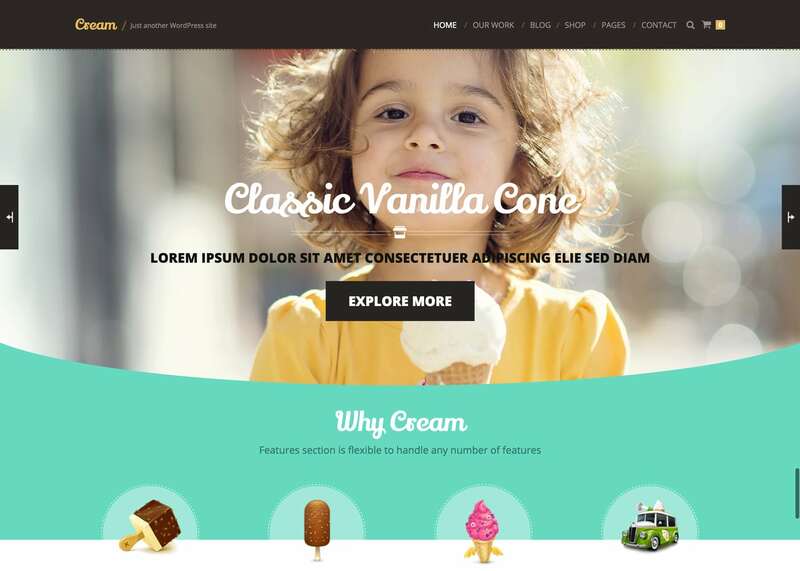 It is a great looking theme designed for food industry and It can be used for any kind of food business like ice cream parlours, sweets shops, bakeries, restaurants etc. It also has special features to manage products, features, services, portfolio items, testimonials and FAQs. 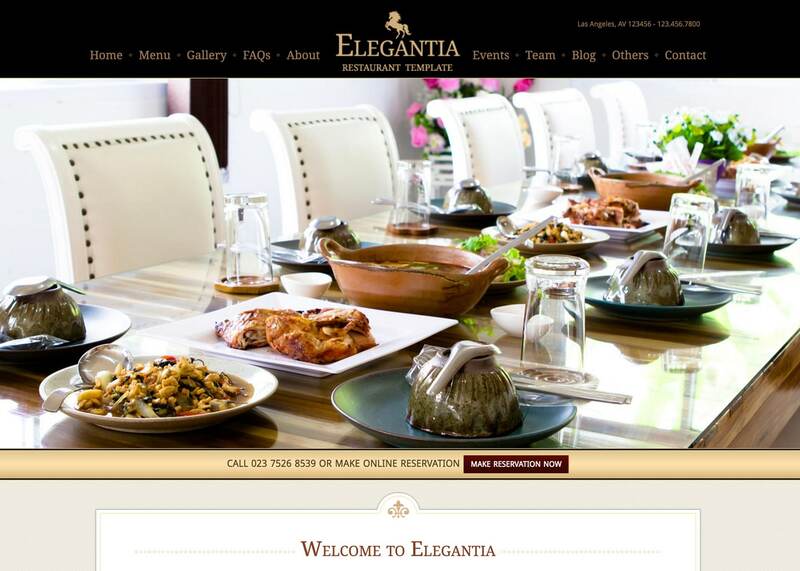 This theme provides an elegant design for restaurants & cafes. It has many features that are required in a restaurant business like reservation, food menus, events, gallery, team members and contact page. 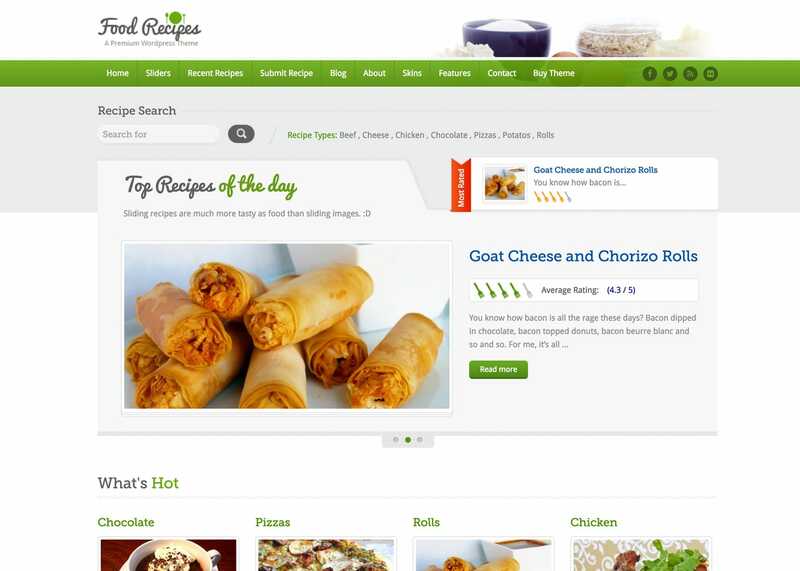 Food Recipes is a fully responsive, feature rich and beautifully designed WordPress theme for recipes related websites. This theme is perfect for professional chefs and cooking experts.